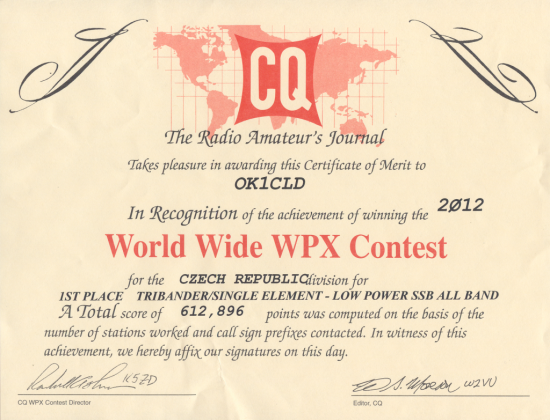 About three weeks ago, I received certificate from SSB part of last year’s CQ WPX contest. 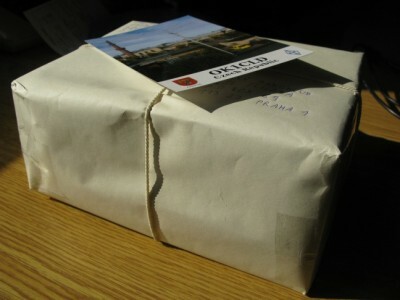 It was a very nice surprise: I hadn’t expected it at all + it arrived exactly on my birthday! The certificate is for 1st place in Czech Republic in SO AB LP Tribander/Single Element category (overlay). My total score in the contest was 612,896 points (688 QSOs, 428 multipliers). I liked the contest a lot, hope to hear you in CW part. 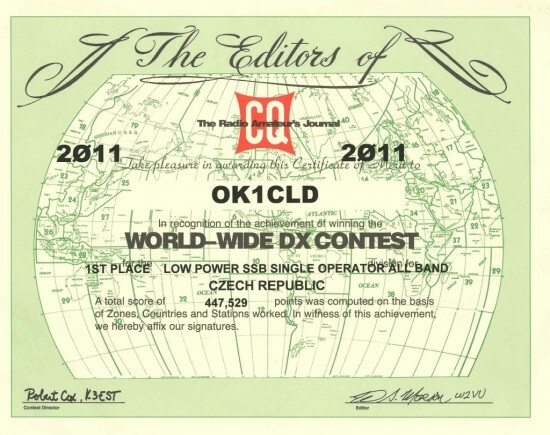 Results of SSB part of last year’s CQ WW DX contest were just published on contest website (or maybe a few days ago, I wasn’t checking very often…). As I learnt just a few minutes ago, my final score is 447,529 points (847 QSOs, 232 Country multipliers and 79 Zone multipliers), thanks to which I’m the 1st in SO AB LP category in the Czech Republic!!! This year’s CQ WW DX SSB is held on 27th – 28th October, hope to hear you then! Update 18.10.: Just received a certificate, the first one I’ve ever received for CQ WW DX! Today, for the first time after a few years, I participated in SSB Liga contest. It’s a two hours long Czech and Slovak contest, held each month on 80 meters band SSB. Connections may be made only between Czech and/or Slovak stations and contest exchange is OK/OM district abbreviations. In this morning’s SSB Liga I managed to make 92 QSOs into 54 OK/OM districts. Most of them (70 QSOs) were made while calling CQ. My total score is 4968 points and according to contest website, at the moment of writing (5th May 21:34 CEST) I’m on the 21st place out of 49. I had a really great time during the contest and regret not participating before. If I have time I’ll definitely participate in the next month’s part. 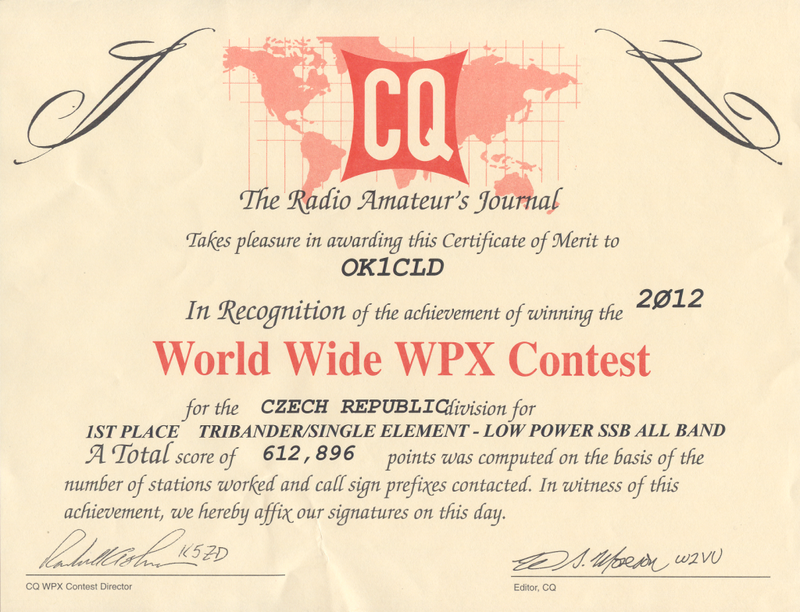 Last weekend, just like on every last weekend of March, I participated in SSB part of CQ WPX contest. This time, unlike the year before, I decided for SO AB LP category (TB-WIRES category overlay). My best result before this year’s competition was quite low, only 415 QSOs and 280 694 points, so this time I was determined to take the contest a little more seriously – and set my goal to 700 QSOs. I started at 00:00 UTC on 80 meters band. To my pleasant surprise, conditions seemed really good. I could hear a lot of stations and had no problem calling them. 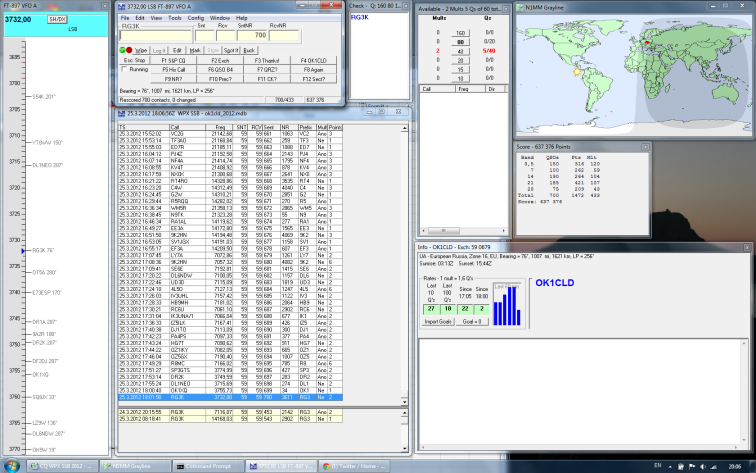 After first four hours, there were 135 QSOs in my log and more than hundred of them from 3.7 MHz. 40 meters band wasn’t so good, even though I liked a lot e.g. QSO to HK1T from Colombia! 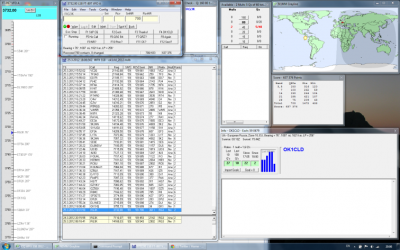 Just two weeks after CW part of ARRL DX Contest, it was the time for SSB part. I was determined to try for my best result in SO AB LP category, but it didn’t start well. After the contest start, I could hear only a few U.S. stations, but not very well and they couldn’t hear me. After about 20 minutes I gave up and went to sleep, having my alarm clock set for 2 a.m. However, CONDX on the band were even worse then before! After short lookup on the Internet I learnt that reason was probably M Class Solar Flare and decided to go to bed. Last weekend I participated in CW part of ARRL International DX Contest. I decided for SO AB LP category. Unfortunately, I couldn’t have been QRV for the whole time, because I had to stay in Prague until Saturday morning. I started contesting at 11:30 UTC, on 20 meters band. Start wasn’t very good for me, during first two hours I made only 22 QSOs. 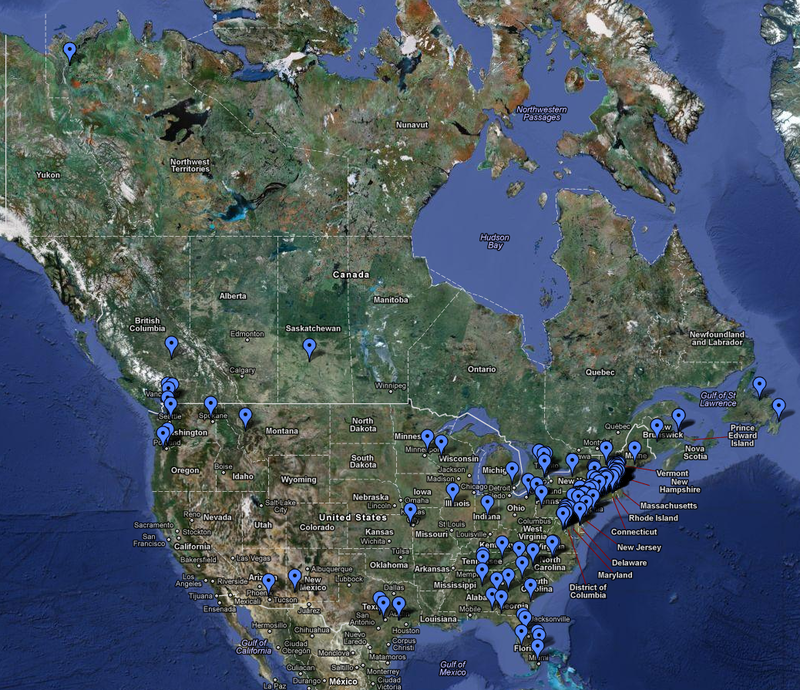 Problem was, that it was a quite difficult for me to find U.S. and Canadian stations between stronger European ones.